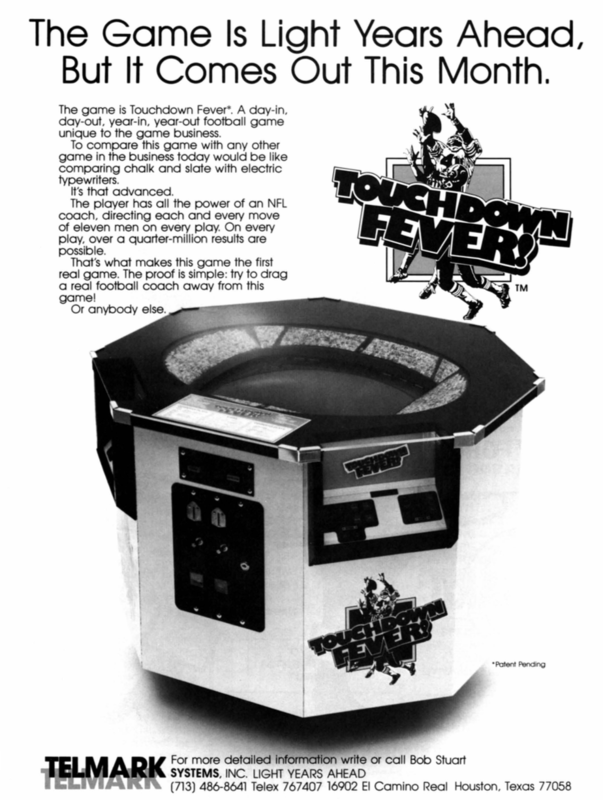 Here are a couple of late 70s sports videogames, Telemark Touchdown Fever! (1979) and Wesco Systems Basketball (1978). In over twenty years of collecting, I’ve never seen either arcade game outside of promotional materials. One wonders how Touchdown Fever! compares to Atari Football. Looking closely to the Wesco Basketball flyer, the monitor displays Basketball from the Atari 2600. The cabinet is similar to the cocktail style of Ramtek Hit Me. Please get in touch, if you have any leads for either game cabinet or part.